Q: Why should I purchase a candle gift instead of flowers? Flowers last a few days and can carry pollen and pesticides. Candles last countless hours and provide warmth and comfort to any household/environment aiding in stress reduction. They are complementing gifts to both men and women and are highly appreciated to suit a wide variety of occasions. Candles are a popular focal point of home décor, bringing aromatherapy and ambiance to any room. At CandleDelivery.com we believe that the gift of a candle can bring about an emotional connection to memories and experiences that bring us back to the past or places us entirely in the moment. Allow us to deliver the special gift of a CandleDelivery.com candle along with your personalized card to show how you feel. Q: Do you use lead free wicks and candle wax? 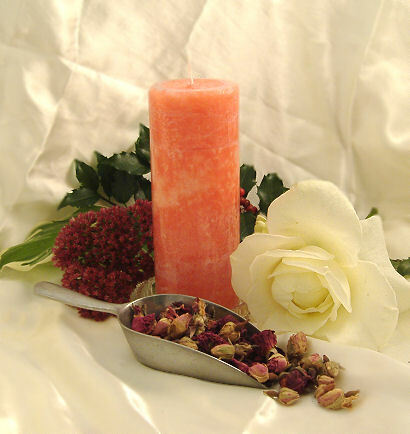 Our customer's health and satisfaction are our number one priority here at CandleDelivery.com. All of our products are 100% lead-free and made of the highest quality ingredients available. Q: What type of wax does CandleDelivery.com use? We offer a wide selection of candles made from the finest waxes avalable such as paraffin, palm, soy and beeswax (based on supply and demand). Many of these candles are hand poured, so their colors and textures are not uniform and may vary slightly from the pictures shown. Q: Can I ship a candle gift to an International address? Yes! We offer world wide delivery services. Shipping within the U.S. is absolutely free. Shipping to Canada is only $5.00 and shipping to any other country is $10.00.